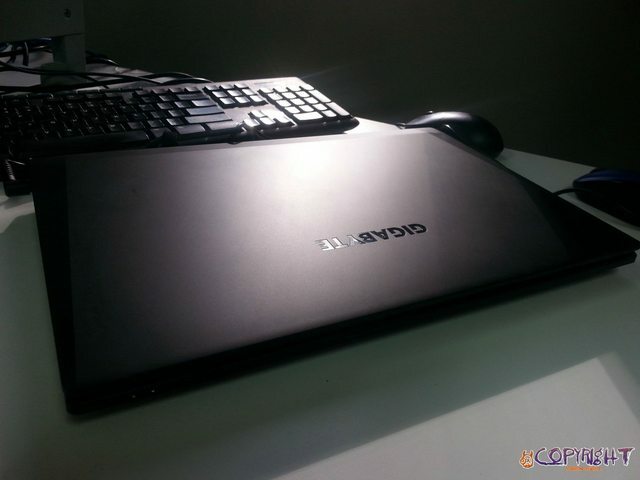 Discussion in 'Gigabyte and Aorus' started by ycon, Jun 24, 2014. 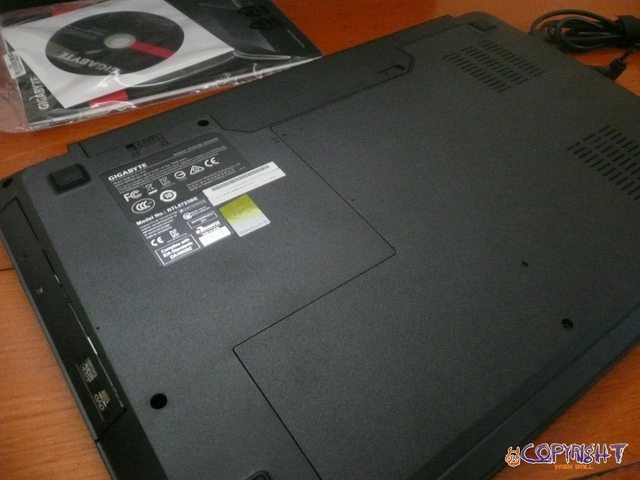 Hard drive capabilities are very good- it comes stock with an optical drive SSD/HDD cradle. So you can seamlessly pop your hard drive straight in. It can support 4 Hard drives in total (2x mSATA SSD's and 2x SATA HDDs). I bought it from eStore Australia- despite the little detail on their site, very good customer support and was at my door after 2 days. Comfortable for web design, video editing and photo shop (so 1920x1080). For the saving of ~$200, I didnt think it was worth jumping down to the Dell. The only benefit was the touch screen. The Radeon R7 r265M GPU is ranked significantly lower than the 850M (135th vs 40th), and it was quite a bit thicker (438mm vs 314mm). 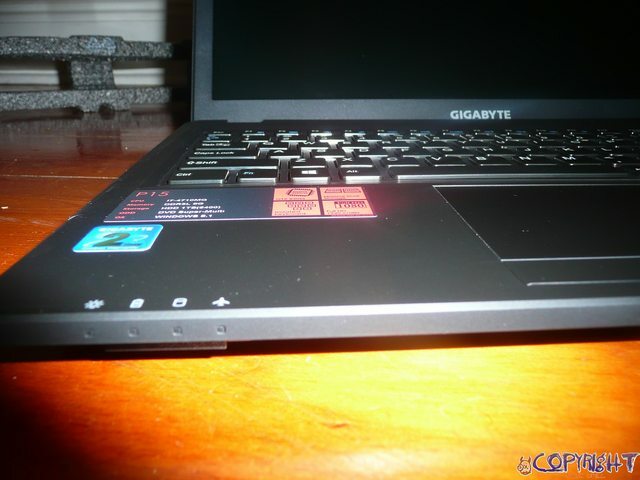 On top, the Gigabyte gives a 2 year international warranty. 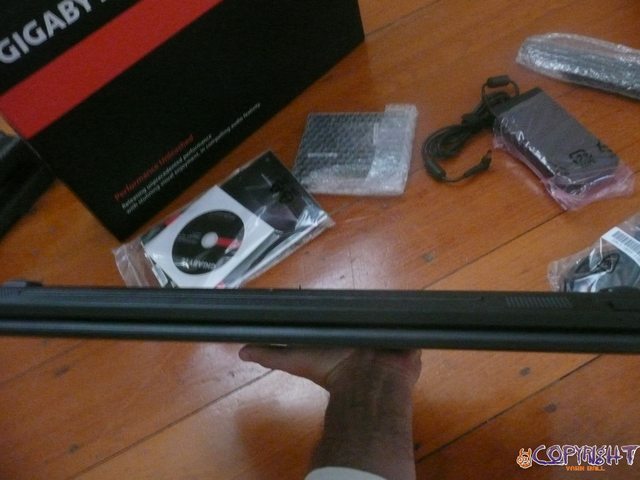 This is a slimmer (209mm vs 314), lighter (2.2kg vs 2.5kg) version of the P15F, carries a GTX 860m (4GB) and has up to 7 hours battery. Costing around 30-50% more than the P15F, I decided against it as performance wise it wasnt much of a jump (860m ranks 35th, however the performance increase is said to be around ~25-35%). 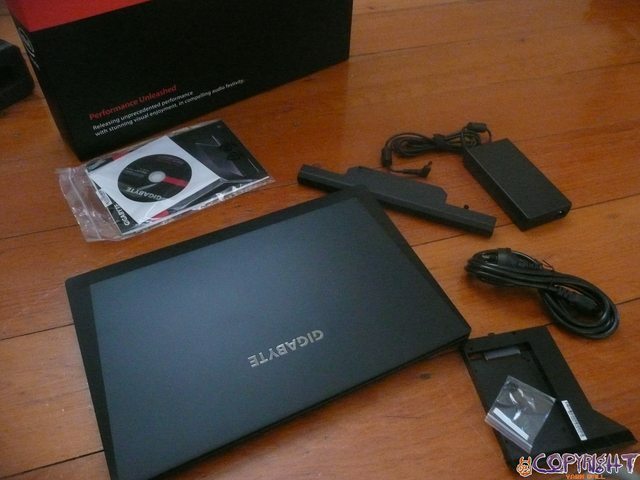 Gigabyte- A relatively new Laptop manufacturer for Australia. I have no idea of their reputation. 2 year international warranty definitely helped eliminate my concerns. Screen: brightness seems a little dim and viewing angles are bad. Is there a technical reason for either of these issues? Power adapter a little heavy- is this unavoidable with this kind of powerful laptop? NB: For those on 8.1, Windows Updates will fail and it's caused by HotFix KB2920189. The P15 installs it, then on reboot it takes about 30 minutes as it says "Could not install update. Undoing changes"
Nice review. I have the P35G V2 and I don't think the bloatware is that bad. Thanks. Thought the world needed a review of this device! Do note that the GPU rankings that show the 850m only 5 spots below of the 860m doesn't tell the whole story. That may be using the GDDR5 version of the 850m. 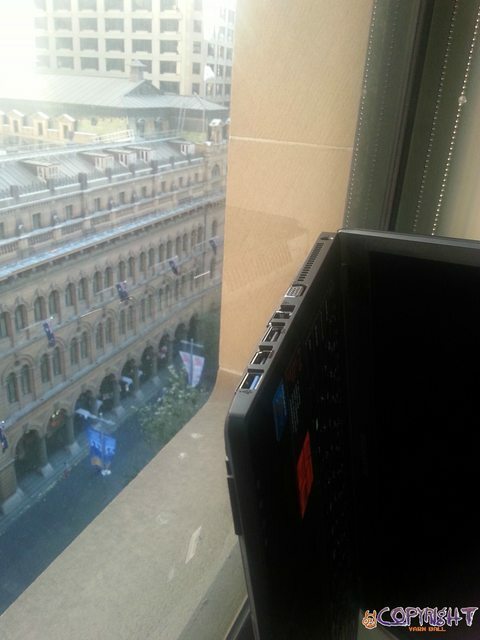 However, the laptop you've got actully houses the ddr3 version of the 850m. There is actually a ~25% difference between these. Regardless, the fact is, the difference between the 860m and the 850m you have is ~35%, a very significant amount. I'm about to take a plunge and buy one of these machines but you are (still!) the only person who has done a review - I'm keen to hear more about your concerns about the fan noise (general use and with games) and how the battery is fairing up. Any more updates or comments that you have would be appreciated. 1. Is the start up and shut down time good? 2. Does it run heavyish duty games like halo or crysis? 3. (The most important one) is it worth it? Is that flinders Street station I see in the background? How's the overclocking on the GPU? 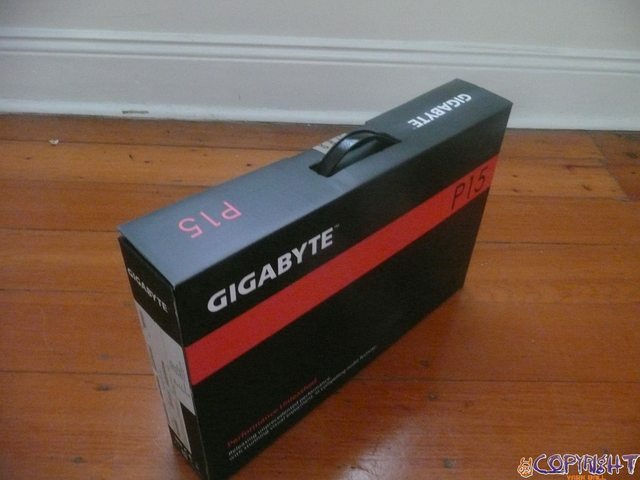 I ordered the Gigabyte P15F from Alternate today. I have two Questions: Is this Notebook comming with an Driver CD? 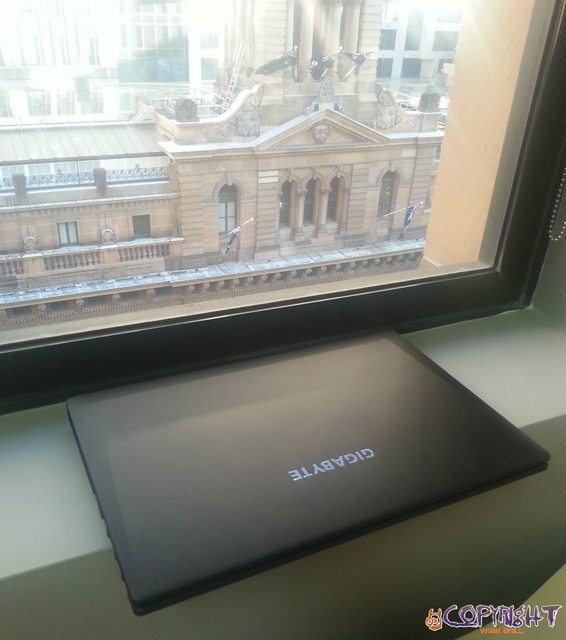 And where can i download the Gigabyte Smart Manager for this Notebook? I mean this Manager: https://www.facebook.com/notes/gigabyte-nb/gigabyte-smart-manager/232779256744855 I dont find it on the Gigabyte Homepage.